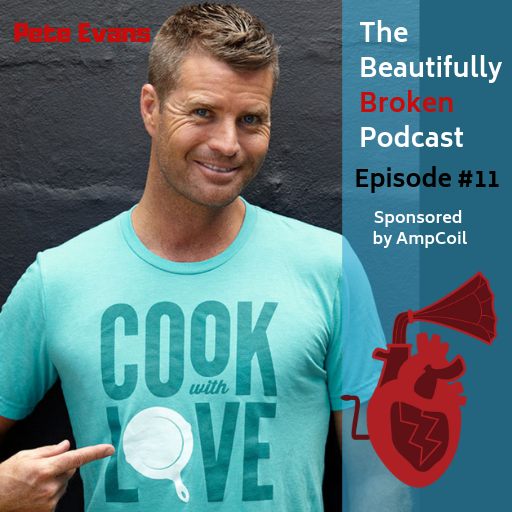 Pete Evans is an internationally renowned chef, restaurateur, author and television presenter. His passion for food and living a healthy lifestyle inspires individuals and families around the world. His recent project is the award-winning documentary film The Magic Pill, which shows the impact food can have on people’s health, now streaming globally on Netflix. Pete Evans has also been co-host and judge of Australia’s number one television show My Kitchen Rules for nine seasons. He has hosted and produced two seasons of The Paleo Way, which sees Pete creating delicious non-inflammatory dishes (a man after my own heart)…AND he also hosts the award-winning PBS series Moveable Feast. – 18:51 – Our greatest fear is our potential. – 20:58 – What role can food play in my healing? – 26:59 – The magic that happens when you feel fantastic – and how to feel that way. – 31:00 – We are our own healers. – 32:55 – How does biohacking fit into our health journey? – 40:56 – What does it mean to be beautifully broken? I’ve been featured in *The Wall Street Journal*, the Full Plate Podcast, An Excellent Example of Being Human, State of the Arts on LA talk radio and *Dance Magazine*. I have a Bachelor of Fine Arts from SUNY Brockport, attended SUNY Fredonia, and graduated from the Institute of Functional Health Coaching.